What kind of RV is right for us? Disclaimer: This post is both a review of the different RVs we’re considering AND a solicitation for help! We’re new to the RV/camper world and are hoping to get as much insight as possible into what works best for full-timers. We’re not too tough to please. Sort of. We have relative simple needs when it comes to day-to-day life—Judson may completely disagree with this, but I maintain that we really aren’t that picky. We currently live in a 630 square foot house so we’re used to small spaces and having to be selective about what we keep. A bed – This is the first thing on our list because its pretty critical, obviously. But by “bed”, we mean a 100% dedicated bed that we don’t have to setup every day. We also would prefer a separate sleeping space if possible. Couch & Dining table – Having a separate couch and dining table (or dining area, we already have a great tiny table) is key for us. We want to be able to plop down at the end of the day and not have to move a table. Storage – Duh. Everyone wants this. Neither of us have many clothes or are really into clothes (*this statement could be up for debate) so we want decent drawer space for basics and then under-RV storage for skis, bikes, fishing and boating gear. Nothing crazy, but we need some. Windows – Especially because we’ll be working and living in the RV, we want as much natural light and access to good views as possible. The things we’re not willing to compromise on? Too heavy or too long – We’re excited to hit the road so we don’t want every trip to be defined by how difficult it is to get the RV where we need it be. So what kind of RV do we need? After a lot of reading, we’re fairly certain we know what we want, but like to keep an open mind. Here’s what we’ve looked at/thought about in our search. At first, I (Kirsten) was totally opposed to the fifth-wheel. I thought it was too big and bulky. I wanted something small and streamlined. But after actually being in one, I realized what a great use of space the fifth-wheel is. And while I like the idea of having a truck topper for storage space, I think the bigger priority is having an RV that is easy to tow and better for day-to-day living. The travel trailer was my first choice. Its simple, small and seems like we could get the hang of the set up/break down pretty quickly. This was my (Kirsten) first choice. We never really considered a van, but it is appealing to have a space that is totally self-sufficient and easy to drive. I think if we were younger and not planning to work on the road, we would probably go the van route. This is a new-to-us option. We recently hosted a skoolie in our backyard and honestly, we fell hard. Its the most livable space of all RVs (in our opinion) and offers endless customization and complete control over systems and installation. This would be a much bigger investment for us and would likely be a more longterm living situation, but honestly, its the coolest. where do we park this? So what kind of RV is best for us? There are so many options when it comes to RVs. I can totally see how a family would love the Class A, Class B or Class C styles. To have a living area while you’re driving would be so great with kids. The travel trailer is also a great option for long-term travel, but after touring a lot of them at the RV store, we realized it felt too cramped for us. We’re both relatively tall and we didn’t love the low ceilings. 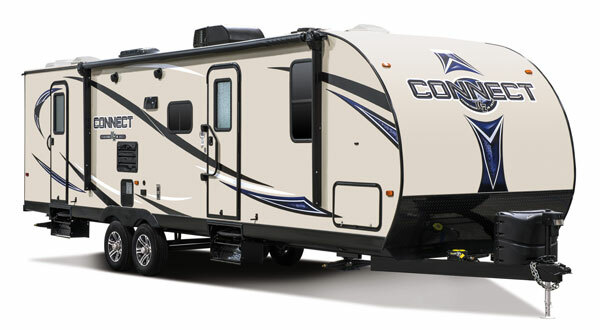 The fifth-wheel certainly feels like the right option for us at the moment, so that’s what we’re focused on right now. But the thing is, we really just don’t know. We’re hoping the right RV will find us, but we’re also super open to advice and hearing about the experiences of other RVers and how they chose their home on wheels!